Thus she was filled with pity for people who were brought to ruin and condemnations for disobedience. Therefore, she resolved to have her heart, mind and soul to dwell on God, and endeavored to remain attentive and struggle in prayer. She would pray for the human race and God’s great mercy. She understood the most excellent way to converse with God was through holy silence and silence of the mind. Hence, she withdrew from the world and put away all earthly things. Through this, by God’s grace, she pioneered a new path to God, the path of silencing the thoughts. Abiding in prayer day and night, and maintaining silence, she cleansed her heart and was inexpressibly united with God. Rising above all creation and creatures, the all holy Virgin contemplated God’s glory more fully than did Moses, and communed with divine grace in such a way that defies words and even reason… the young virgin Mary gave herself up entirely to God and repulsed from herself every impulse to sin, yet still she felt the weakness of human nature more powerfully than others. Therefore, she greatly desired the coming of the Savior… She became an abode of every virtue, turning her mind away from every worldly and carnal desire. This was fitting for her who was to conceive God within herself. We can see from these revelations given to St. Gregory that Mary developed and diligently practiced secret meditation on God in her heart, which for her led to the incarnation of God within her womb. This was Mary’s role in our salvation. Where can the diligent practice of secret mediation of the heart lead us? St. Theophan is telling us that secret meditation is “The one thing needful.” How do we start to dwell in our heart in prayer? Secret meditation most often takes the form of indwelling The Jesus Prayer, prayers to our Most Holy Theotokos and other supplications to the Saints. Other Fathers have also recommended the recitation of a verse from the Psalms, a part of a prayer you love, and or hymns from church. For example: Because I am musically oriented and love to sing –I indwell hymns through out my day. Be creative, as you would with anyone you love. If you are prone to depression or despondency, it is good to indwell joyful praises to God – that bring forth gratitude, which is a good remedy for despondency. Wouldn’t we all rather give our praises to God than negative thoughts? Our goal is to quietly and secretly please God and express our unique love towards Him. “Prayer must not be an occupation for a certain period of time, but a permanent state of spirit… In other words, prayer must not only be outward, but also inward, an activity of the mind in the heart. In this lies the essence of prayer, which is raising the mind and heart towards God. Glory to God and his Saints! Let us strive to use the remainder of this fasting period to incorporate a little more unceasing prayer into our daily life. For new listeners who want to draw closer to the Mother of God in prayer this Advent, I want to extend an invitation to join me and other listeners each day in praying either an Akathist or Canon to the Mother of God. I found a lovely download of both the Akathist to the Mother of God and to Jesus for only $7.95 on Orthodox Christian Recorded Books, http://www.ocrb.org/, that I am using to help me fulfill my prayer commitment. Since this is the Christmas Season, I also invite those of you who are looking for a unique gift for friends or family to consider giving them a copy of my book, The Pearl of Great Price, The Spiritual Journey of a New Age Seeker to the Light of Christ and the Orthodox Church through the OCN Amazon Store banner on any OCN website page. With every purchase you make on Amazon through the OCN Amazon Store you will be supporting the wonderful work of the Orthodox Christian Network. If you want a signed copy with a spiritual thought as well, you can obtain that through my author’s website, once again, pearlofgreatpriceorthodox.com. Please make sure you order your copy from before the 12th of December for Western Christmas. 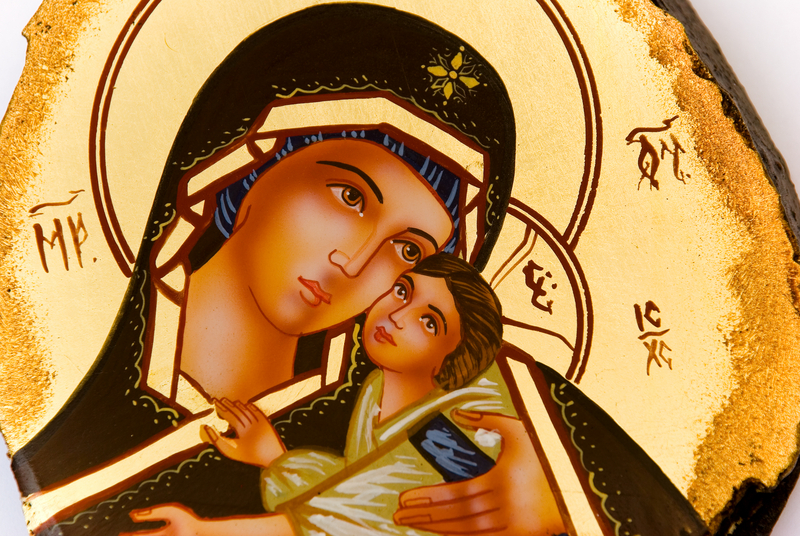 I have yet one more podcast in this series on the Drawing Closer to the Mother of God – airing mid-December. Previous postDrawing closer to the Mother of God during Advent, Part I airing on OCN mid-Nov.